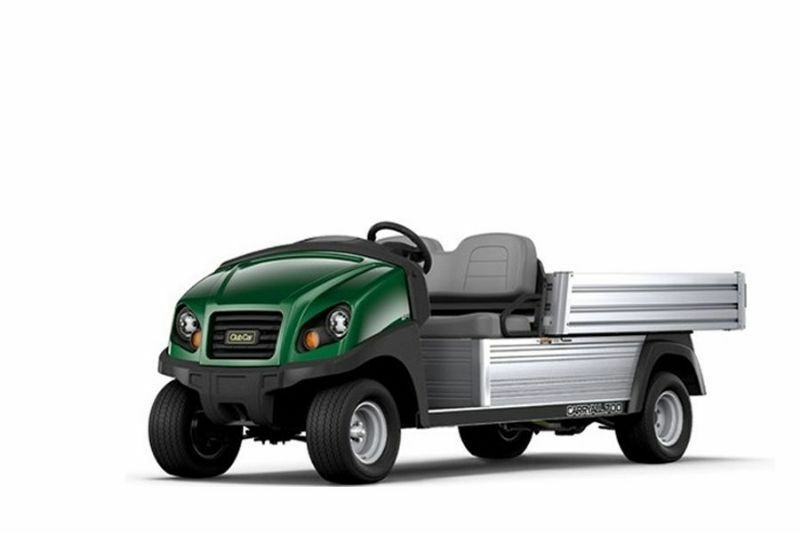 Economical utility vehicle is ideal for light work and as a general transport vehicle. A small profile makes it perfect for security details in congested areas such as parking garages, and its large tires and high ground clearance help in climbing curbs and traversing rough terrain. 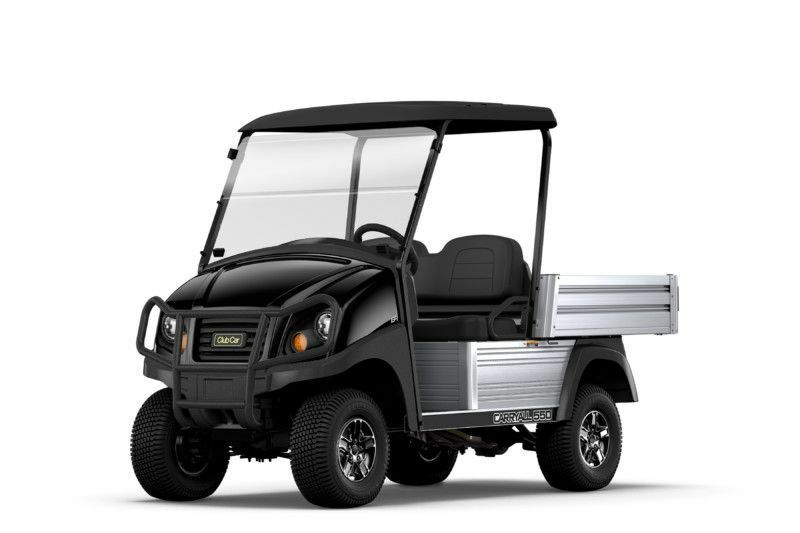 Whether you choose the 404cc, 14.0 hp (10.3 kW) rated Subaru engine or 10-horsepower zero-emission electric powertrain, the Carryall 100 provides plenty of power to get you and your equipment to the job site. And features such as the tilting cargo bed with 300 lb (136.1 kg) capacity make it easy to get the work done. 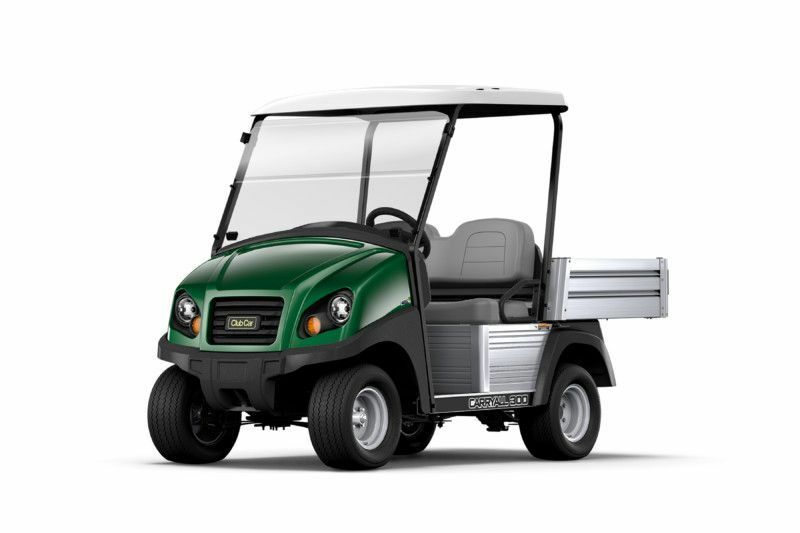 Strength and durability are the hallmarks of the Carryall 300, the most economical and dependable utility vehicle in its class. 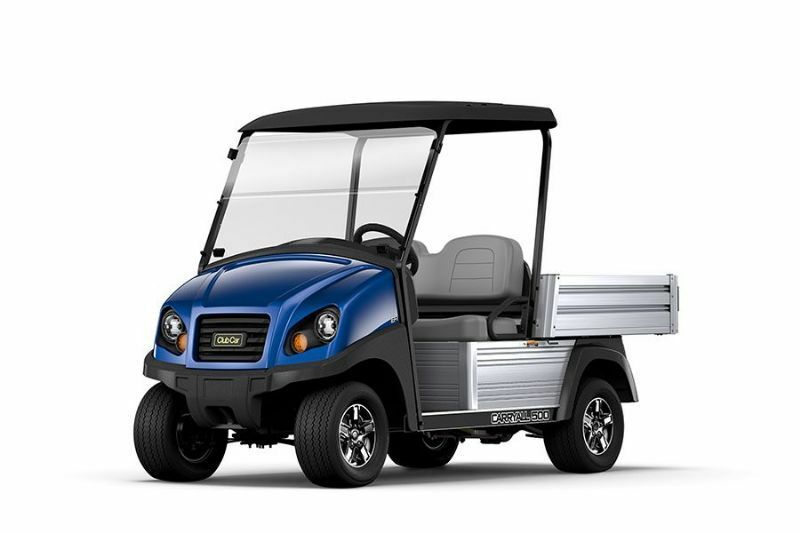 It features a rustproof aircraft grade aluminum frame, chassis and cargo box, powered by a Subaru 404cc, 14.0 hp (10.3 kW) rated gasoline engine or 48-volt Excel electric powertrain. The rack and pinion steering make the Carryall 300 easy to handle even with an 800 lb (362.8 kg) total vehicle capacity. From its sturdy front bumper to its flatbed cargo box with tailgate or stake-side bed options, it’s the perfect solution for your light-duty industrial and commercial jobs. Haul bigger loads with the Carryall 500, featuring an expanded pickup bed and 1,500-pound total vehicle capacity – all constructed with the strength and durability that are the hallmarks of the Carryall series. 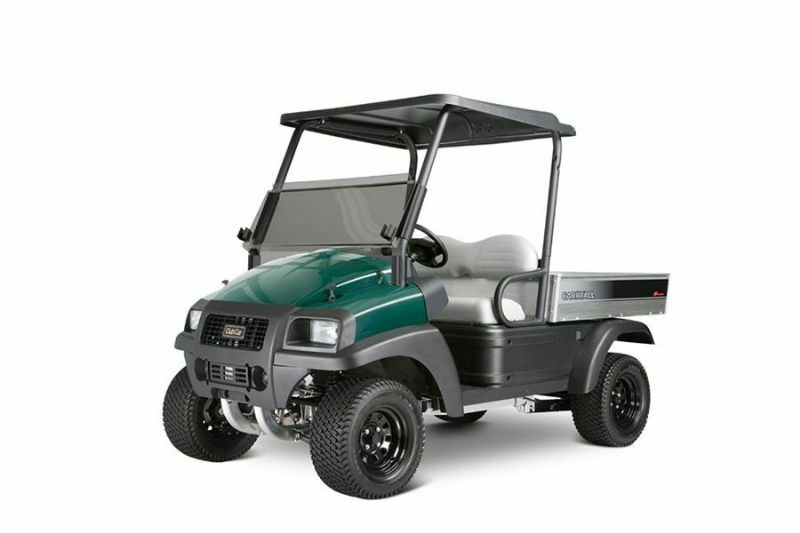 The most dependable utility vehicle in its class features a rustproof aircraft grade aluminum frame, chassis and cargo box, powered by a Subaru 404cc gasoline engine or 48-volt electric powertrain. From its sturdy front bumper to its flatbed cargo box with industrial van box options, the Carryall 500 is the perfect solution for your industrial and commercial jobs. From ambulance applications to serious work truck setups, the Carryall 700 can be configured to meet your distinctive needs. With more cargo space and load capacity than any other Carryall product, it takes your hauling capabilities to another level. 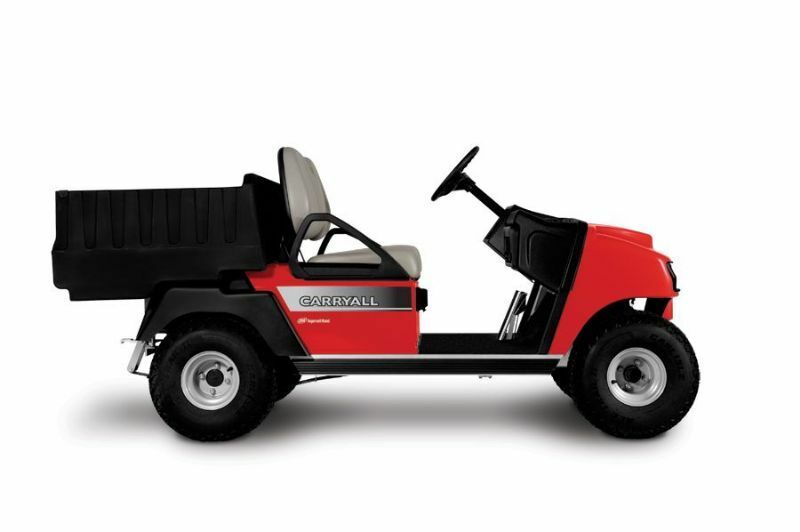 At nearly six feet long, the Carryall 700 can be equipped with a cab, custom van box and other options to make it an economical alternative to a full-sized van or pickup truck. Schools and municipalities use it as a medical services vehicle; it’s ideal for carrying two trainers and their gear into tight spaces.